The 12 boys of the "Wild Boars" team and their coach are recovering after last week's dramatic multinational rescue that drew global attention. As dancers swayed to the beat of traditional music, candles were lit and fruit offerings placed near a cave on Monday in a ceremony to thank benevolent spirits for the rescue of a Thai soccer team. The 12 boys of the "Wild Boars" team and their coach are recovering after last week's dramatic multinational rescue that drew global attention. 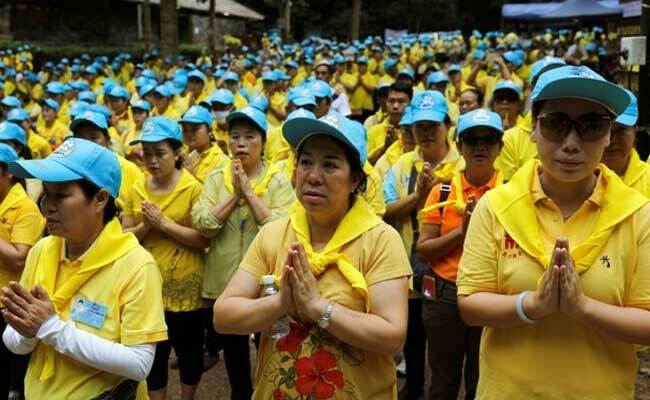 They are to be discharged on Thursday from a hospital in the northern town of Chiang Rai. Pig heads, boiled eggs, fish, sweets and fruits were among the delicacies offered to spirits and deities in Monday's ceremony to thank them for the safe return of the boys. "We are paying respects to the angels who look after the forest and inside the cave," Nippon Anchai, a traditional practitioner, told Thai media. 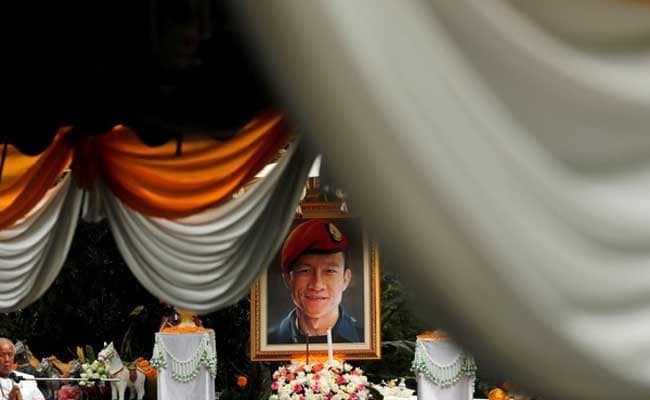 The group also prayed for Samarn Kunan, 38, a former member of Thailand's elite SEALs unit, who was the only casualty of the operation when he died after taking oxygen tanks into the cave. The 12 boys, aged 11 to 16, and their 25-year-old coach were exploring the cave on June 23 when a monsoon downpour flooded the tunnels, trapping them deep inside the 10-km (6 mile) cave complex. Thai legend says the cave, named Tham Luang Nang Non, or "cave of the reclining lady", marks the spot where a beautiful princess committed suicide after her father's soldiers killed her lover, a commoner. "We said sorry to Jao Mae Nang Non," said Nippon, referring to the princess whose spirit is believed to protect the cave and which many Thais feared was disturbed by the throng of rescuers, volunteers and media during the 17-day operation.